In this post, we’ll discuss colocynth, a plant that is sometimes used to treat baby colic. If your colicky baby seems to experience relief when you press on his or her tummy, then this homeopathic remedy may help when your infant cries. 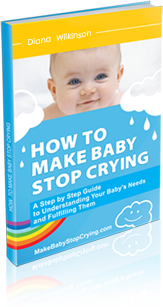 There are many strategies a parent can try when their infant cries as a result of baby colic, but sometimes simple soothing methods don’t have any effect at all. In these situations, parents sometimes turn to over-the-counter remedies like gripe water or colocynth. Colocynth is a homeopathic remedy, meaning that it is a highly diluted plant extract rather than a more standard, synthetic medicine. 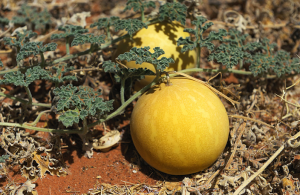 The plant that colocynth is obtained from, Citrullus colocynthis, is native to Africa and Asia. It has been used in medicine since ancient times and in some cultures its seeds were eaten. More recently, some medical practitioners, both homeopaths and more standard Western medicine physicians, are re-discovering colocynth as an effective remedy for colic. However, colocynth will not work for all cases of colic. Practitioners who use it often say that it works for babies who pull their knees up to their chests and feel some relief in response to firm pressure. That is to say, if rubbing or pressing on your baby’s tummy, or putting them over your shoulder, seems to help a little, then colocynth may help. If your baby’s colic looks different – if pressure does not seem to help or if your infant arches his back while crying, for example – then another remedy might work better. Colocynth is not available in all countries. Since the plant itself is poisonous and can be harmful in anything other than very small doses, it has been banned in the United States. However, it is still used in other countries. In the United Kingdom, for one, colocynth may be recommended or prescribed by a doctor or pharmacist. It comes in the form of small granules, containing a very tiny dose of colocynth. Some parents and practitioners find great success treating baby colic with colocynth. If you try this treatment for your infant and it does not work, simply move on to trying another strategy or treatment for several days. And, most importantly, if you are experiencing stress, remember to stay calm, ask family or friends for support, and that eventually your child will grow out of his or her colic.